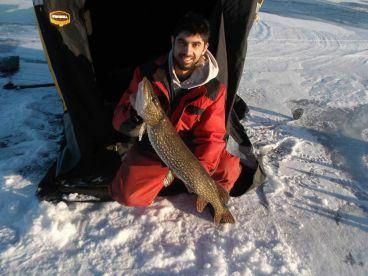 The ice fishing Ontario enjoys each year is so good it makes people actually look forward to winter! 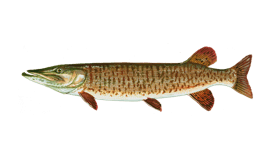 From tasty Perch and Crappie to hard-fighting Pike and Muskie, anglers take on fish in all shapes and sizes through in the ice. There’s a lot more to it than just drilling a hole, though. 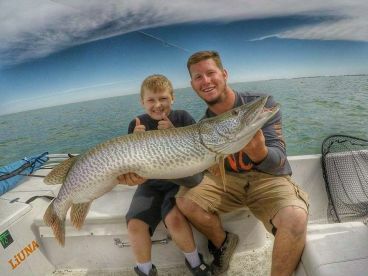 Many Ontario anglers have spent their lives looking for the perfect spot and the dream tactics to beat last season’s record. Ice fishing tournaments are also a big deal in Ontario, bringing sportfishers from around the country and beyond. Ice fishing can cover all kinds of setups and structures. Huddle around the hole in your hut or tent. Check the tip-up in your five-star ice fishing palace. Head out with an hand auger and a couple of folding chairs. However you fish, there’s nothing more exciting than seeing your line pull taut through the ice! You can ice fish pretty much anywhere in Ontario, as long as the freeze is thick enough. But there are some spots that people travel to from far and wide each winter. Here are a few of the best ice fishing spots in Ontario. Just an hour north of Toronto, the “Ice Fishing Capital of the World” more than earns its title each year. 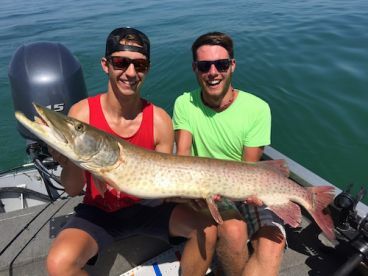 Lake Simcoe is one of the best places in the province for Yellow Perch, Pike, Walleye, Lake Trout, and a huge range of other species. 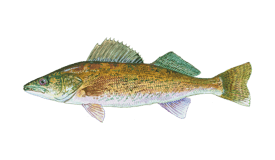 Lake of the Woods is known to many as “Walleye Capital of the World.” The Walleye bite here is truly outstanding but the lake is no one-trick pony. 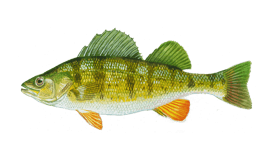 Perch, Pike, Lake Trout, Smallmouth Bass, Muskie all live here. There’s a reason Ontario, Manitoba, and Minnesota all want a piece of it! 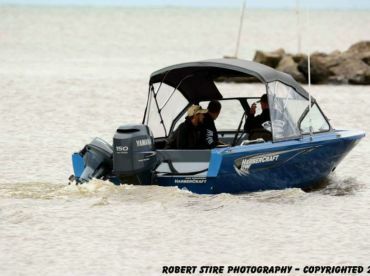 The northern part of Lake Huron is the winter home of a lot of Ontario anglers. They’re drawn here by Salmon, Sturgeon and Pike, but there are also plenty of Steelhead to go around. 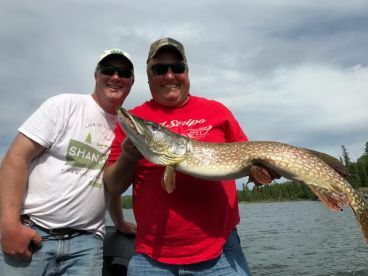 Hit the Ottawa River to take on Pike, Travel to Thunder Bay to fish any the of lakes in the area. Head North to Haliburton or East to the Bay of Quinte. 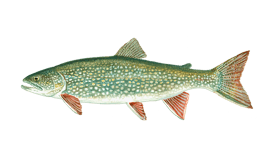 Most of Ontario’s waters freeze in the winter and you can find great fish all across the province. Knowing the lake is key to successful fishing. Different species live in different depths and habitats, just as they do in the summer. Fishing with a guide or a local who knows what’s going on beneath the ice really gives you a head start. Once you’ve selected your spot, you will drill a hole and jig with lures, usually on open-facing spinning tackle. 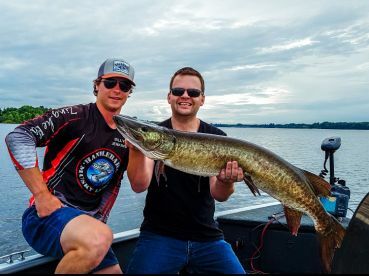 Treble-hooked flash spoons like Swedish Pimples work great for Pike, Walleye, and other big fish, as do swimming lures such as Nils Master Jigging Shad. For smaller species like Crappie and Perch, horizontal jigs are a great alternative. The Genz Worm from System Tackle is a special favorite among Perch lovers. The line will often be attached to a “tip-up” which will let you know when something takes your lure. Ice fishing is great fun, but it can be dangerous if you’re not careful. Always avoid dark ice and never go into areas marked with “thin ice” signs. If you don’t know the waters well, fish with someone who does or talk to other anglers before heading out onto the water. Ice fishing is a unique way to catch great fish. It is an iconic part of Ontario’s fishing scene. 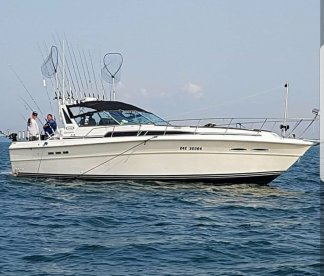 Whether you’re out on the open waters of the Georgian Bay or joining the crowds on Lake Simcoe, you’re in for a very special experience that you’ll want to repeat year after year.